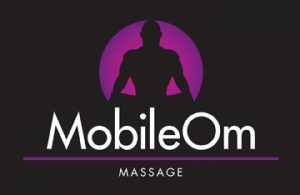 Mobile Om delivers a world-class service experience for each and every one of our clients. The best massage therapist I have ever had 🙌🏼 And he is beyond knowledgable of the human body. Feeling good while educating you! Absolutely the best massage I’ve had in 10 yrs living in NEPA!!! I had instant relief from neck tension and headaches and even a stretching program to follow for self maintenance!!! Tony is a miracle worker!!!! Such an amazing experience.. I have never felt so whole! The energy from the moment I walked in until long after I left was so peaceful. The reiki was amazing and I cannot wait to be back! Thank you so much! Top notch! If you ever doubted how much a massage can help alleviate aches and pains, you need to see Tony. He is incredibly talented and extremely educated in his craft. His attention to his clients needs is second to none and as is his willingness to listen and adapt to your specific problem areas. Can't imagine anyone else in this area even coming close to this level of treatment and expertise. I've had multiple surgeries and seen plenty of professionals to help treat my pain and they couldn't hold a candle to Tony. Thank you Tony! Tony is one of the most professional, hard working ,kind and friendly massage therapists I’ve been to. He honestly helped my shoulder so much as a musician my shoulder was in a bit of bother and Tony gave me a lot of exercises and worked extra hours when i was really in a lot of pain.. he’s a great man and couldn’t recommend him more! 10/10 ! Fantastic massage! It was exactly what I was looking for, calm atmosphere, extremely knowledgeable and professional person. Started coming for frequent headaches, and Tony has helped me feel much better. My headaches are gone. Tony is as amazing massage therapist, with a range of options from deep tissue to swedish massage. His ability to read the body through touch and release bound up muscles/tensions is a remarkable skill. Tony’s massage is an invaluable addition to anyone's health and wellness maintenance regiment. Tony is by far the best massage therapist I’ve ever met . His professionalism and massage techniques are outstanding. I highly recommend his services to all who read this. Toy's communication and costumer care îs EXCELLENT, bar none! He also showed me how to find a massage therapist when I'm back home. Next time I'm in this part of PA, I'm calling him as soon as I get here. Well, not the case with Tony of Mobile Om! Tony knows his craft and with his extensive experience he knows how to get to the point. In his very attentive way, he found all the knots in my body not missing one! What was initially painful on first contact (I have been driving for 5 days 10 hours a day) melted away very quickly... and I handed him a lot of work to do!! At the end of the session I was completely pain free, exceptionally relaxed and I had the longest, restful sleep that night that I have had in a long time! I live in San Diego which puts me very far from his practice... But if ever in the Scranton area I will look him up again! So should you, what are you waiting for? All you can loose is the pain! So do it! I've known Tony now for about 20 years. I had hired him as my massage therapist on a recommendation I had gotten from a friend. I first started seeing Tony at my favorite spa. My husband and I had to move and with traffic and my schedule the spa was no longer convenient. Tony had called me a few weeks later and informed me he had gone Mobile!! Needless to say, I was overjoyed with excitement and wanted to get on his schedule immediately!! Tony is by far the best massage therapist I have ever had. He is attentive, professional, accommodating! I am an avid runner and constantly have aches and pains! If I didn't have Tony help to massage me back to life I have no clue what I would do!! He is highly educated with the newest and best techniques. I highly recommend Tony to anyone who is looking to relax or has aches and pains that need attention!! I rate him a 10!! Tony is the one of the most knowledgeable people I have ever met when it comes to anatomy and understanding the body. He specifically targets troubled areas and works with you to address your specific needs. Tony goes above and beyond the call of duty to help his clients which is something you do not see anymore. Highly recommended ! Tony was knowledgable and made us feel comfortable during our home experience. He was the most professional I have ever met. Thank you Tony for such great service! Amazingly uncomfortable! My first Deep tissue Massage, and it will not be my last. Very Professional, and Knowledgeable. Life changing! I've struggled with pain from an injury for about 3 years now. No doctor has been able to figure it out, but one visit with Tony has done more than years worth of physical therapy. I'm optimistic about overcoming this pain for the first time in a long time. Had a great massage! Tony was so professional and made me feel very comfortable. The massage was so relaxing and I felt like a new person afterwards.